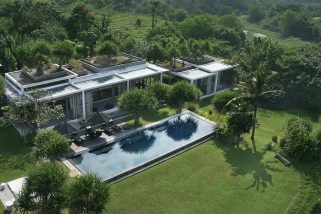 Spread over two floors and punctuated by exotic lily ponds, magical water features, two swimming pools and connected walkways this opulent island get-away provides the ultimate in peace and relaxation. 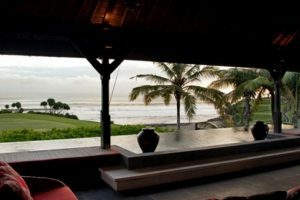 Upstairs, under a colossal thatched roof is a terrace style living and dining area which encompasses a large bale belong and a stunning 12 metre infinity pool. 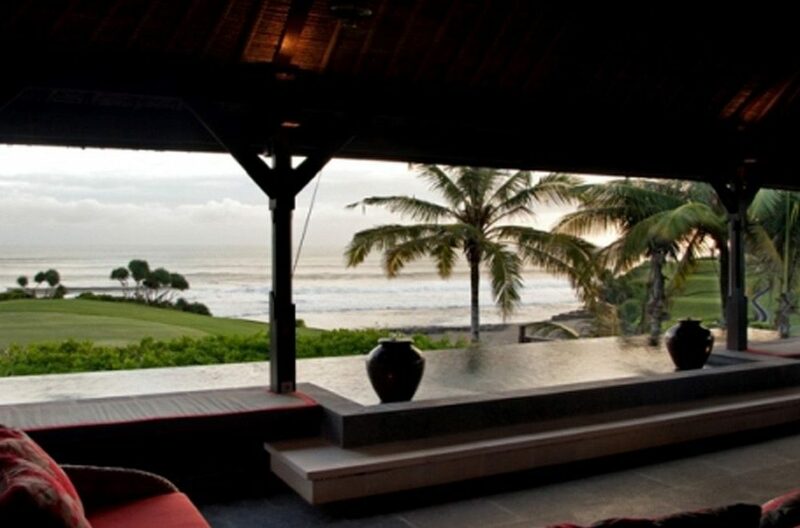 Here, you can revel in the stunning vista of the sleek fairway winding around the ocean cliffs. 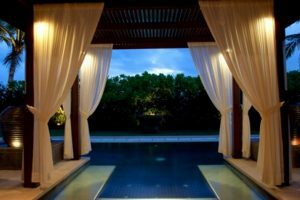 The beautifully manicured tropical garden below contains a further 15 metre swimming pool with a Jacuzzi surrounded by comfortable lounge chairs. 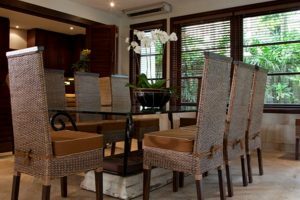 This house, with its spacious indoor and outdoor entertaining spaces is fantastic for socialising with your family and friends and big enough for tranquil moments of solitude. 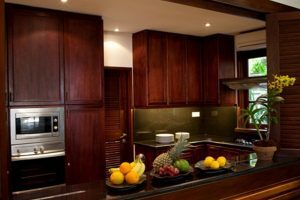 Inside Villa Amani Golf, is a further air-conditioned living and dining area with a bar, Satellite Plasma TV, DVD / CD player, and Ipod speakers. Adjacent to this is a well equipped kitchen and staff quarters. 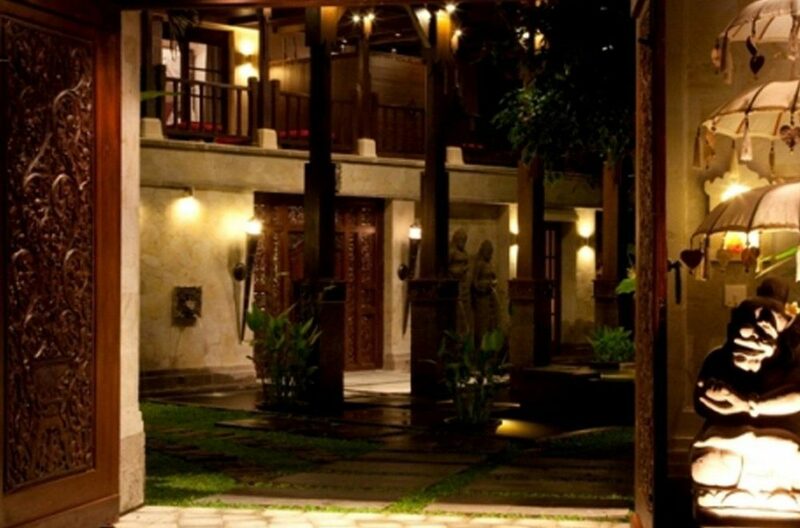 Wi-Fi is available throughout. The Master Suite is situated on the top floor and boasts a king size bed and a glorious traditionally carved stone wall and wooden floors. 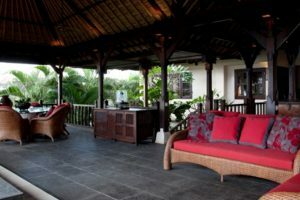 A large balcony also offers a wonderful space for an intimate breakfast while looking over the magnificent terrain. 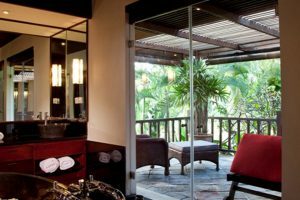 This room has a glamorous, granite en-suite with a vanity area, a stone bathtub, an outdoor shower and a very secluded lounging terrace. 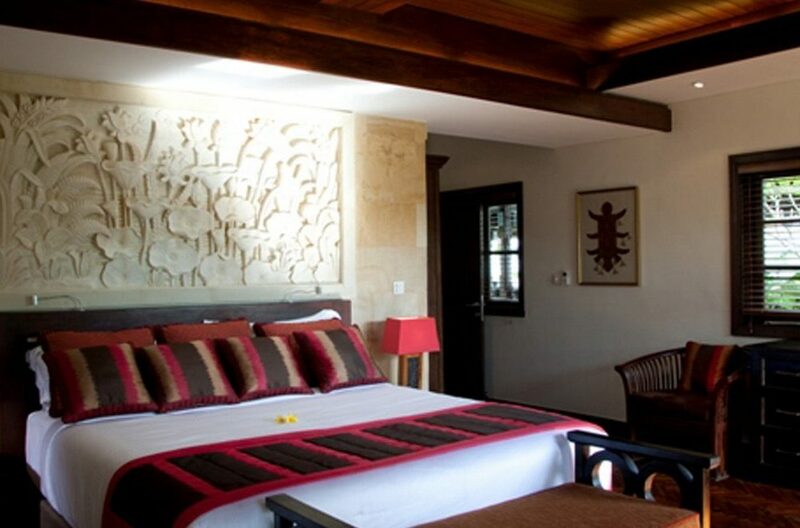 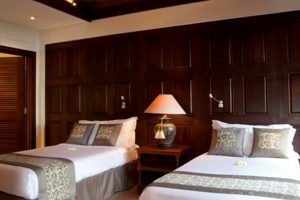 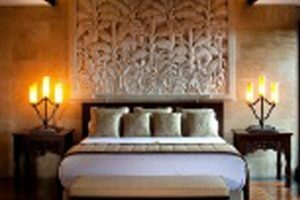 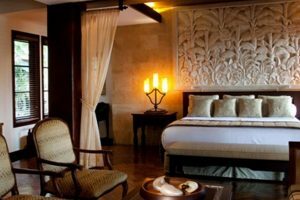 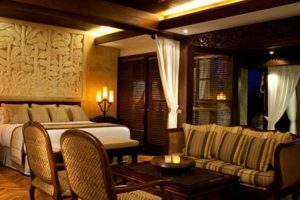 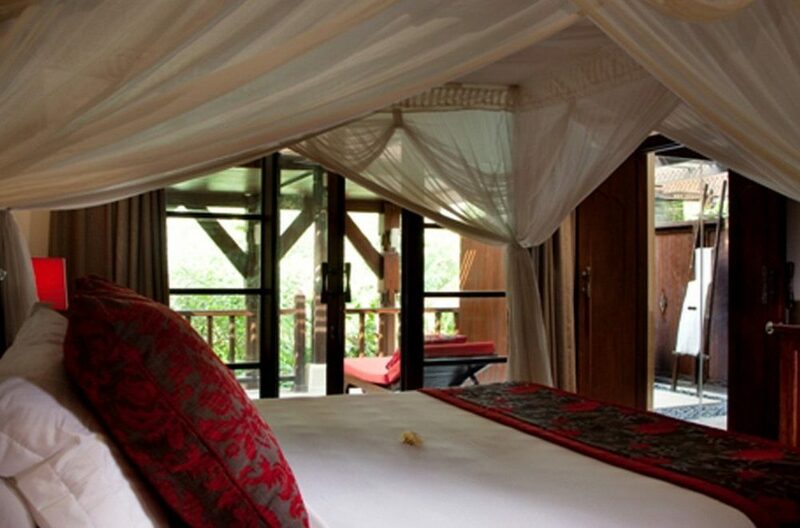 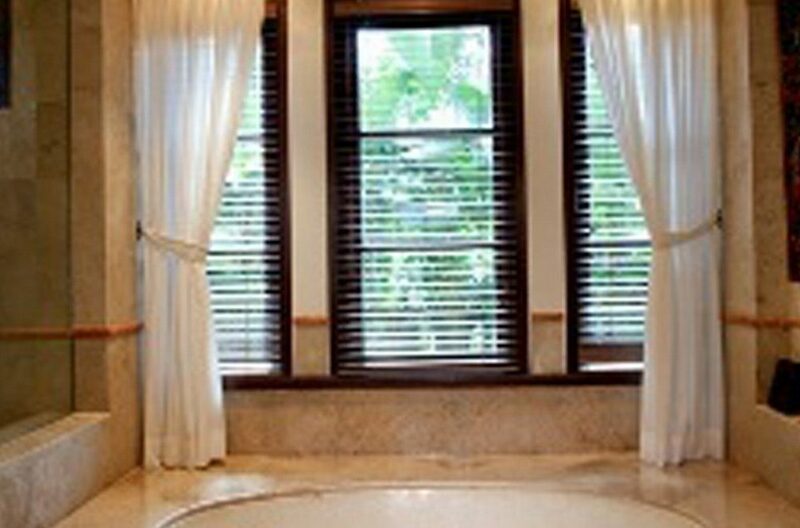 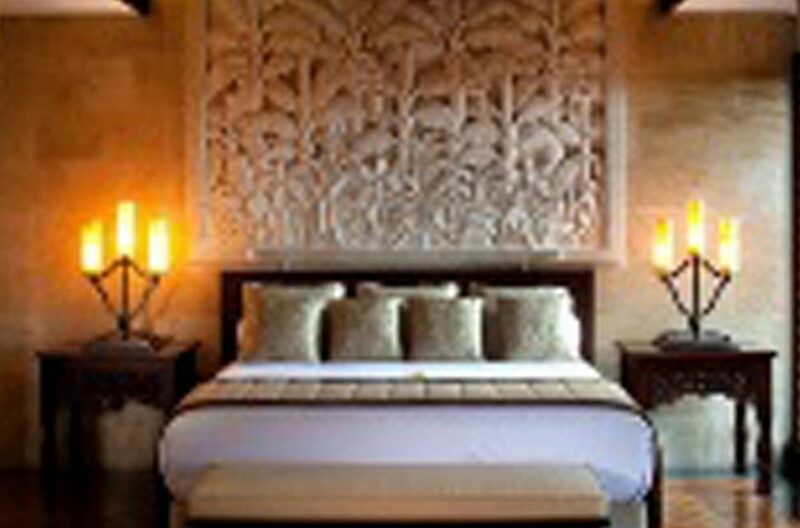 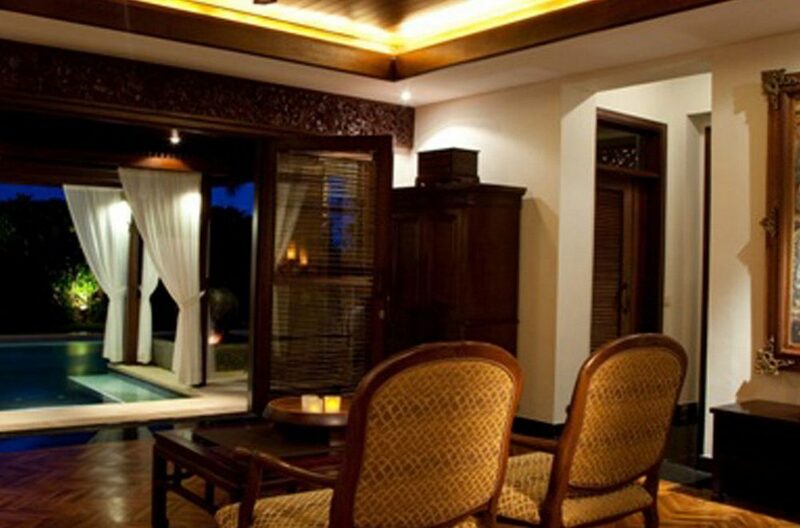 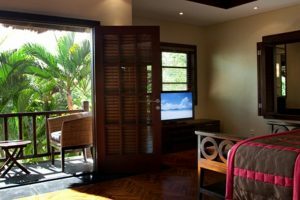 Also upstairs at Villa Amani Golf, guests will find the delightful Palm Suite which has a 4 poster bed and an impressively carved wooden ceiling feature. 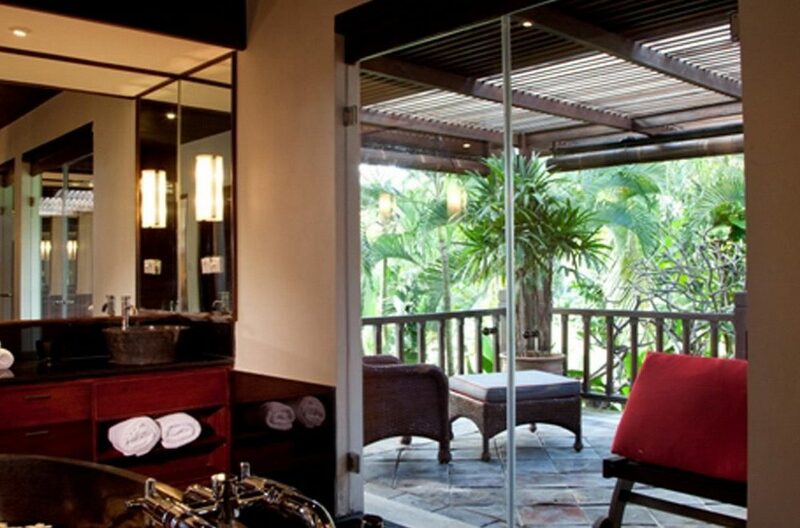 The spacious marble en-suite for this room comprises of an indoor shower, an outdoor stone bath tub and a lovely private terrace. The Garden Suite, located on the ground floor, has patio doors which open out onto the lovely surroundings of the exotic garden and is equipped with an antique 4 poster bed and a marble en-suite. 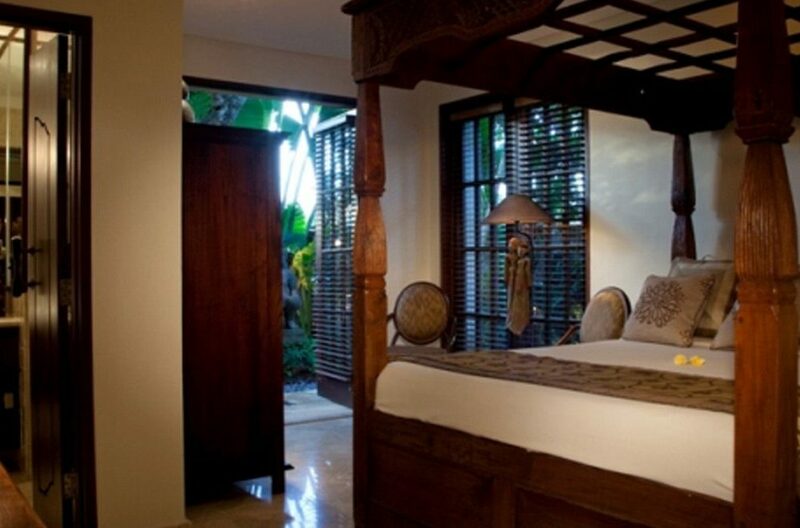 The Ocean Suite is the only room to offer twin beds and also has a well-appointed testsuite while the striking Pool Suite, only opened when the villa is booked as a 5 bedroom, has direct access to the swimming pool in the garden and features a king size bed, a dressing area and an en-suite bathroom. 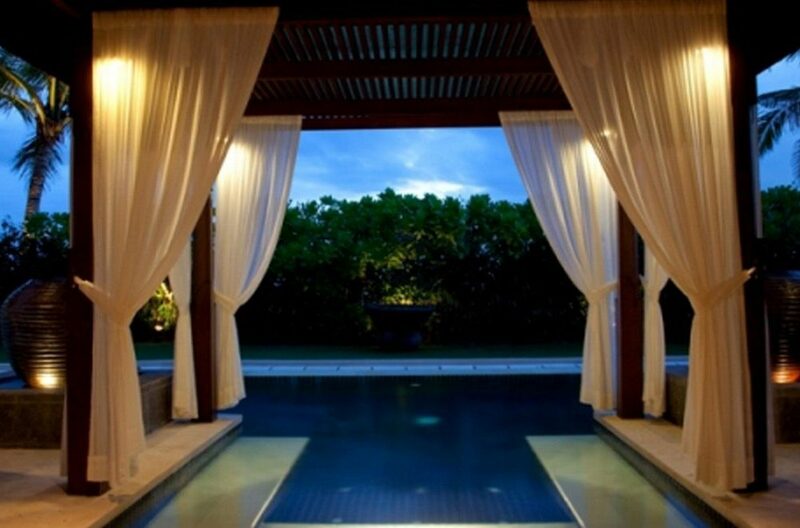 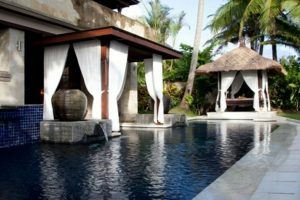 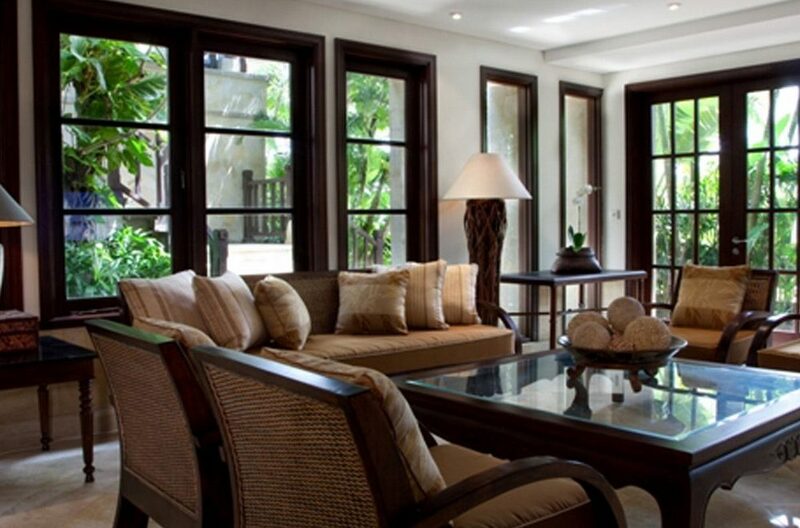 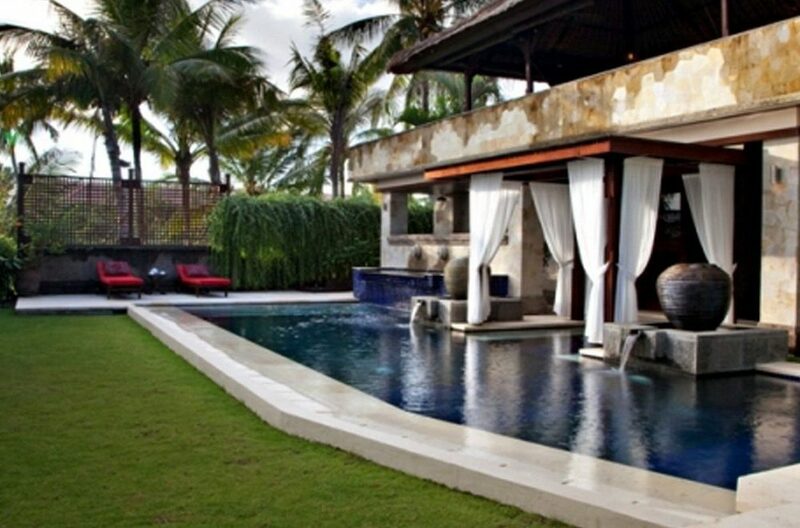 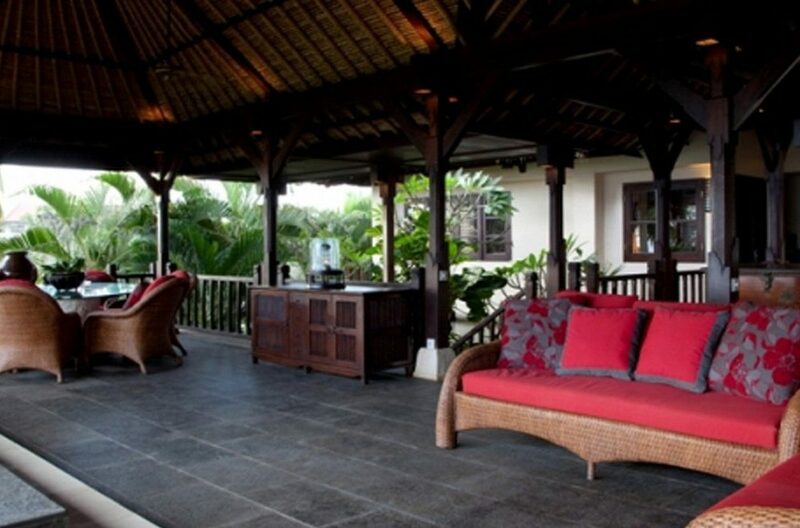 The luxurious Villa Amani Golf in Bali is staffed by a delightful and discreet team including a cook, housekeeper, gardener and pool attendant who are well-equipped to take care of all your needs. Furthermore, guests have access to some of the hotel facilities of the exclusive Nirwana Golf Resort, including tennis and squash courts, pools, water-slides, 24hr room service, and a world-class Spa. 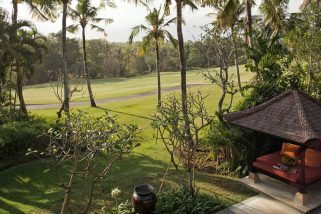 Golf discounts are also extended along with in-villa spa treatments which can be arranged on request. 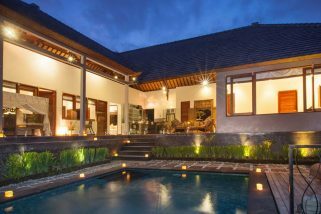 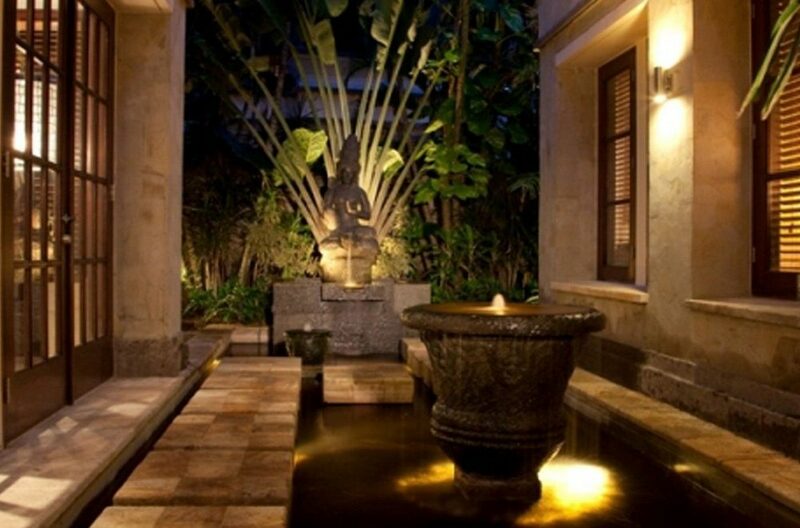 Smooth palimanan stone, lush tropical landscaped gardens, fragrant frangipani’s, swaying palms and fishponds with stone fountains greet guests at Villa Senja.